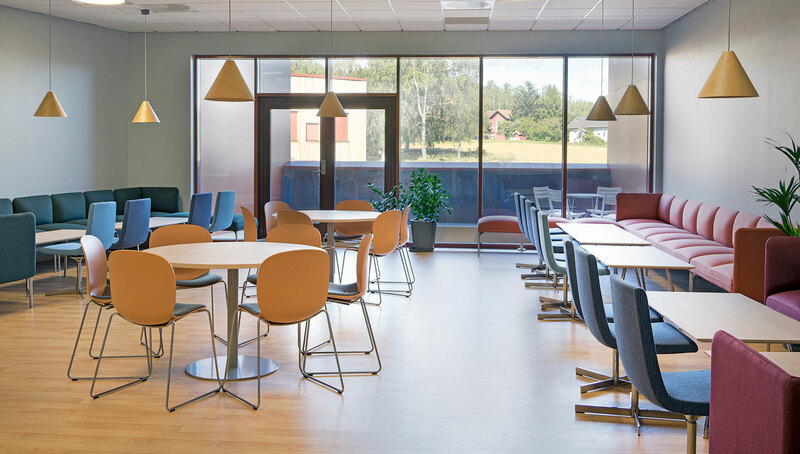 Hebekk School is a primary school in the Ski municipality of Norway, providing a welcoming and functional environment for nearly 400 students. 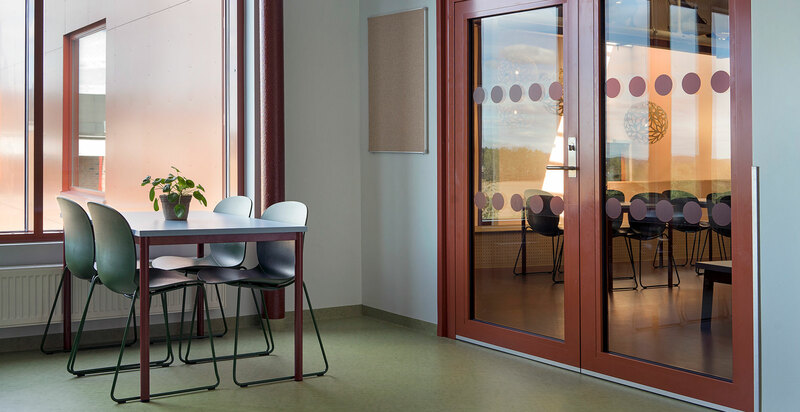 In 2018, Architects Planforum Arkitekter completed major expansion of the school. The objective was to create a holistic design, integrating old and new, and supporting the school’s focus on safety and unity. The approach required a special focus on spatial disposition and the application of materials and colours. The result is an exemplary municipal educational facility, with interiors that are unique in Norway. The project requirements included a new autism-department, educational facilities, offices and new common spaces, as well as a new compact sports hall. The central building includes common spaces, such as vestibule, canteen, library, “food & health”, “arts & crafts” and music, as well as the indoor amphitheatre that form the very heart of the school. Furniture was chosen for these new environments to meet the needs of the client. They were required to be good and solid designs, preferably of local or Norwegian design. 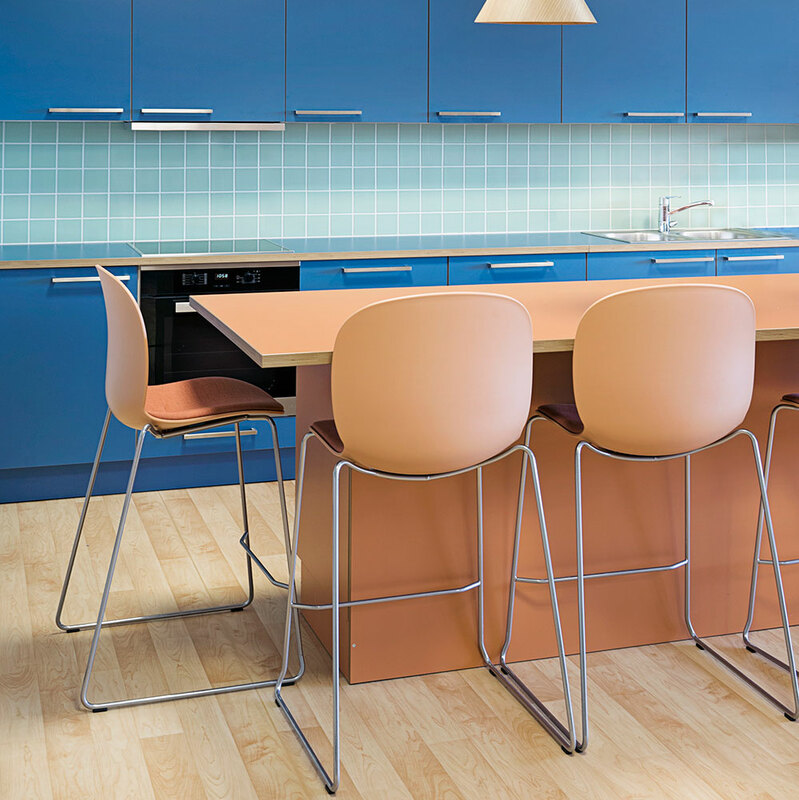 Furniture with flexible and sophisticated colour options was a key factor due to the special colour palettes developed and adapted to different zones and types of rooms. The colours of the furniture should enhance and enrich the school's colour concept and create a harmonious and sophisticated expression. The RBM Noor was specified throughout the project, and was placed in Art, Science, Music, staff, library, canteen and health environments. The great variety of colour and calibration options meant it could be adapted to the demanding colour schemes, and styled to fit each room. 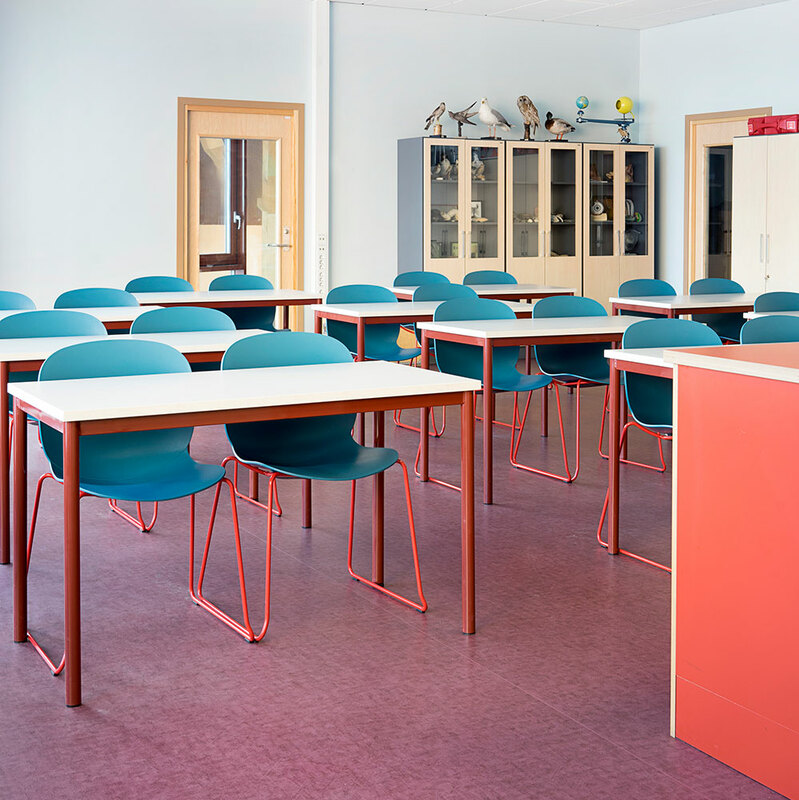 It’s solid and comfortable design also ensured that both students and teachers alike would be comfortable whilst performing tasks, and the chair would be able to stand up to the rigours of school life. The result is a modern and holistic municipal school which provides a welcoming and functional environment for learning and community activities. 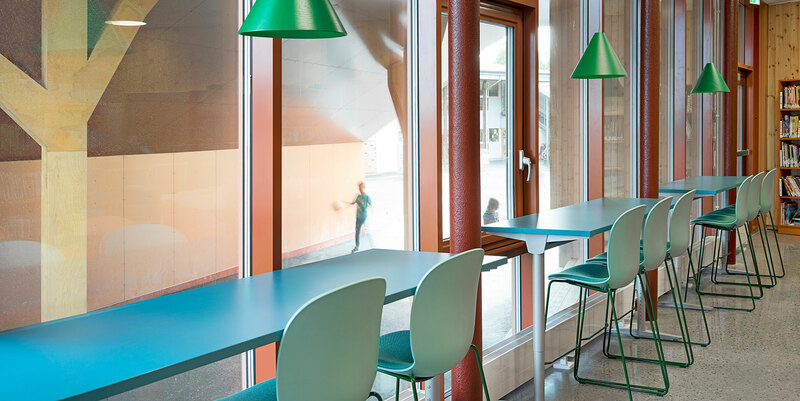 Characterized by a rich colour scheme, that supports the school´s educational and social goals, Hebekk school is a unique achievement in contemporary Norwegian architecture. "By deriving inspiration from nature, employing knowledge of color psychology and drawing from extensive experience with learning environments, we designed a warm and inviting interior, with variations of materials and colors, customized to the functions of each space."